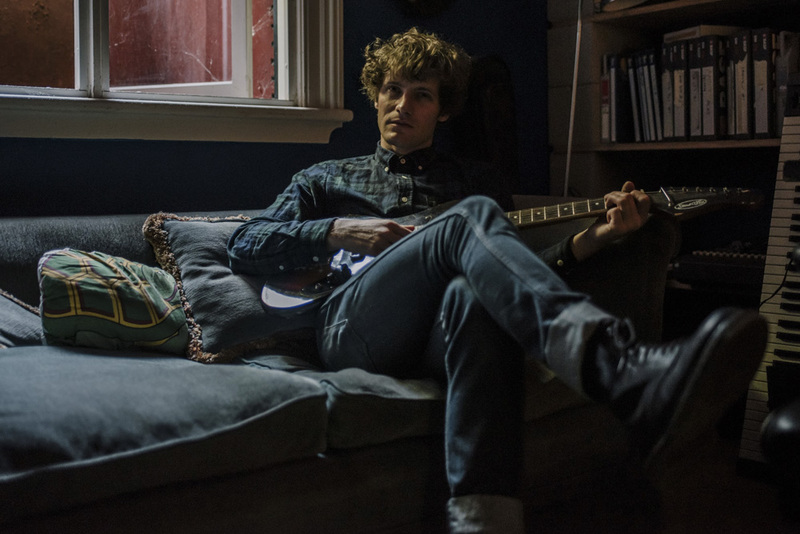 The Australian psych scene is a rich sonic tapestry. 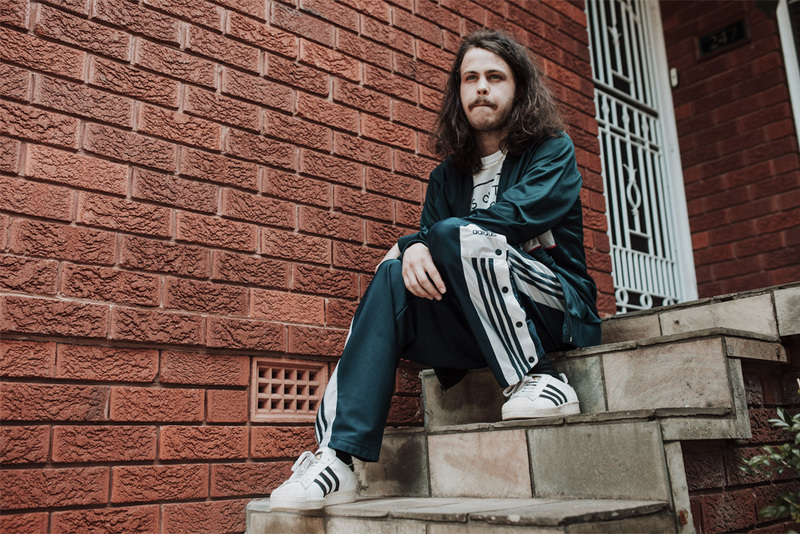 From the far reaches of Perth, where bands like Tame Impala and Pond cultivated their craft before taking it to the world, to the bubbling cauldron of Melbourne, where you’ll find King Gizzard & The Lizard Wizard frantically recording their next album, there is a lot to explore here. 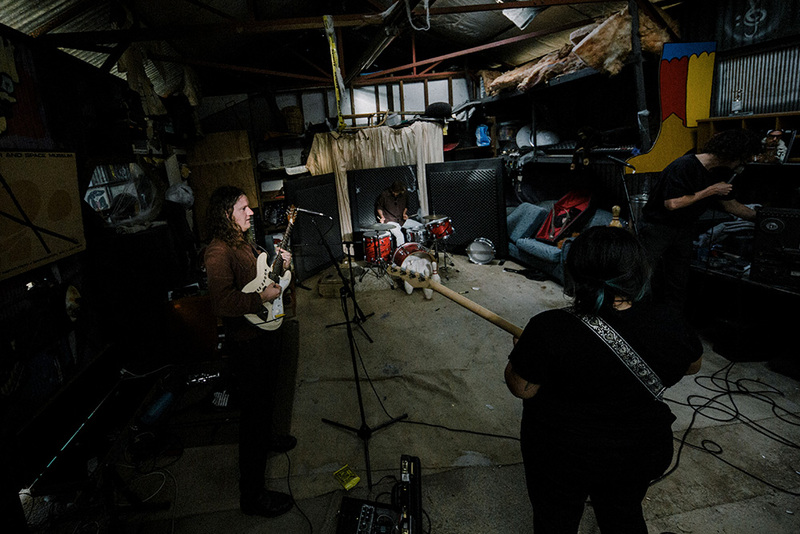 Small towns, coastal hubs, major cities—you don’t have to look far to find a flourishing crop of artists dabbling in just about every corner of psychedelic spectrum, from shoegaze to '60s garage to sludgy stoner rock. And many of these you’ll find tinkering away in makeshift studios: bedrooms, sheds, the basements of sprawling mansions. This, I think, adds a certain charm to the landscape here. People are doing things on their own terms, and pushing boundaries in their own way. 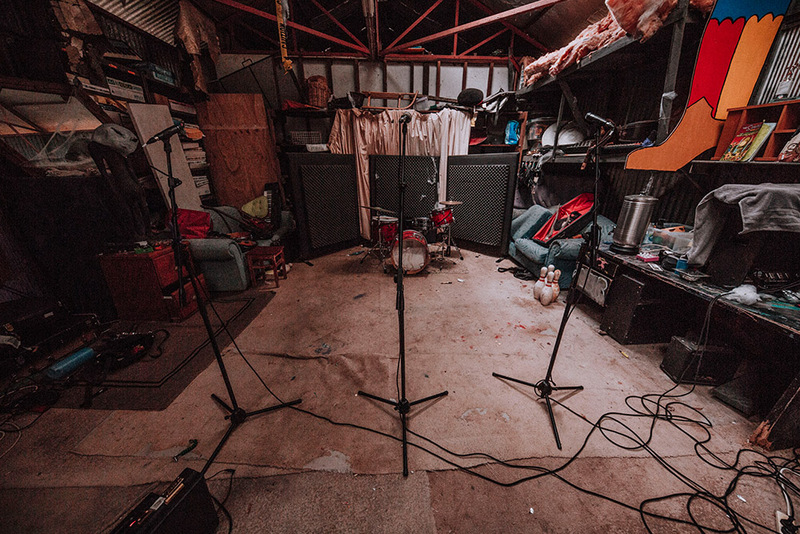 To find out a little more about how these artists work, and how the DIY approach imbues the Australian psych scene with its magic (and slightly mutant) appeal, I spoke to a few musicians about their setups, what gear they’re working on, and how their studios shape their sound. Can you tell us a bit about your space? MindField first began a few years ago. I created it to escape the pressures of professional recording studios and allow myself to create a space around me with the perfect vibe. After gathering a bunch of gear, my girlfriend Hunter and I decided to paint it all and give each of the three rooms their own theme. 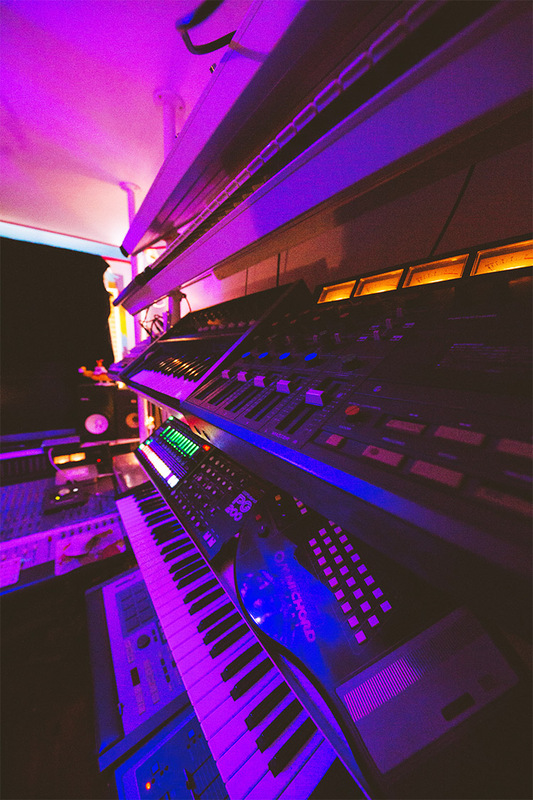 The first room is the Rainbow Control Room, where all the synths and drum machines live and most of my time living is spent. 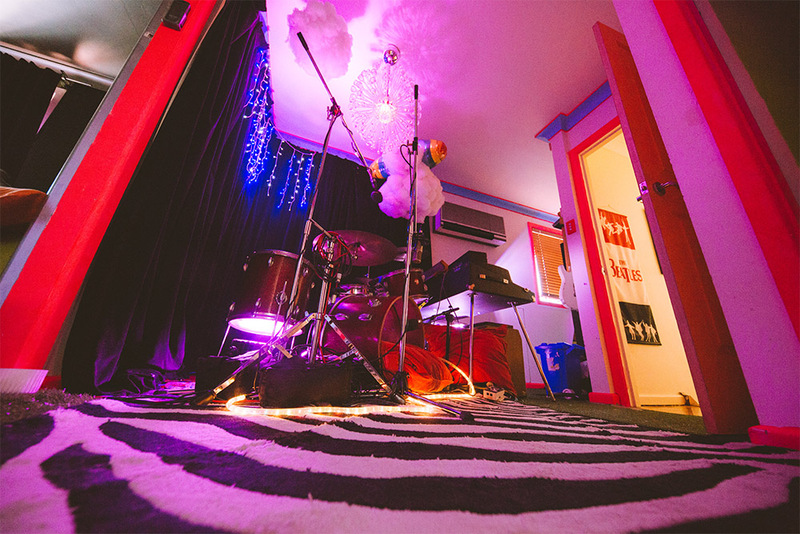 The second room is the Cloud Room, where I track all the drums and have band members jam in when I record them live. 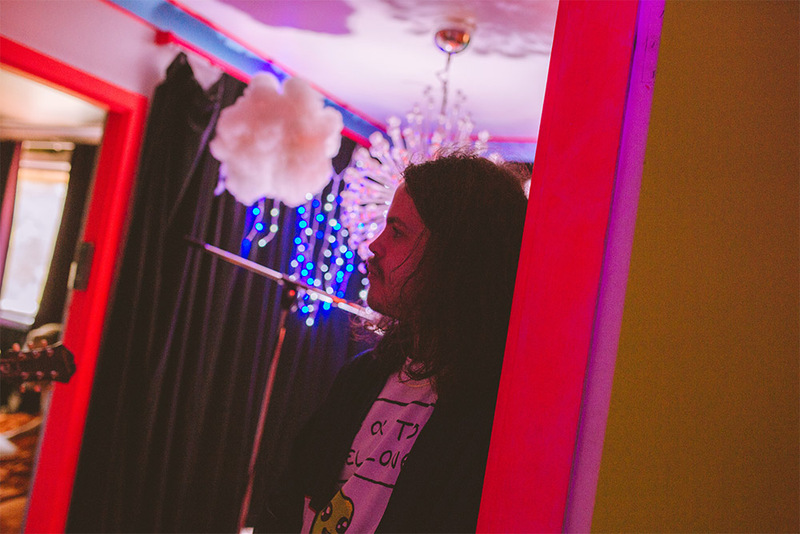 The third is the Pink Room—a fortress of fluffy pink solitude where all vocals are tracked and people go when chill time is needed. 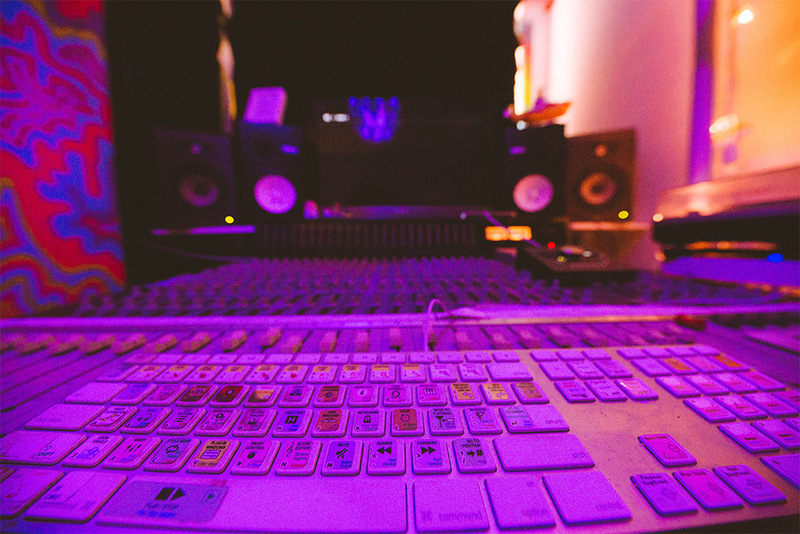 How do you feel your studio influences your music? The studio has a huge effect on the music I create, to the point where I literally write songs about the feelings the studio gives me. I have this wonderful connection with it where I feel like it’s a place where all the ideas in my brain can be translated because I’ve made myself so comfortable with it. What are some pieces of gear that you really love or that shape your sound? 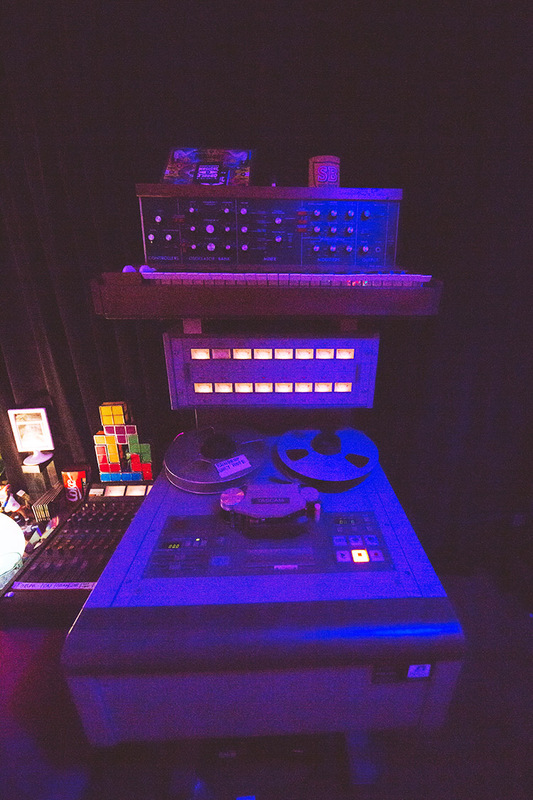 Tascam tape recorders and mixers are a large part of my studio sounds. 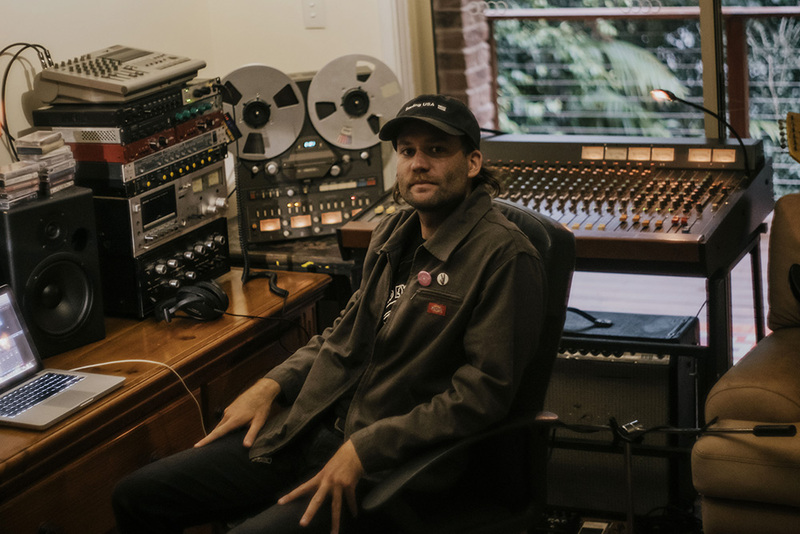 One notable piece of that gear is my Tascam 244 4-track cassette recorder that I use to demo all my songs, run guitars through, and slow down drums with. Other gems include my Minimoog Model D, that I run heaps of things through the filter of, as it just makes everything sound more alive. My Roland rack effects (old ‘70s/’80s rack-mount phaser, flanger, chorus), and of course the RE-201 Space Echo. 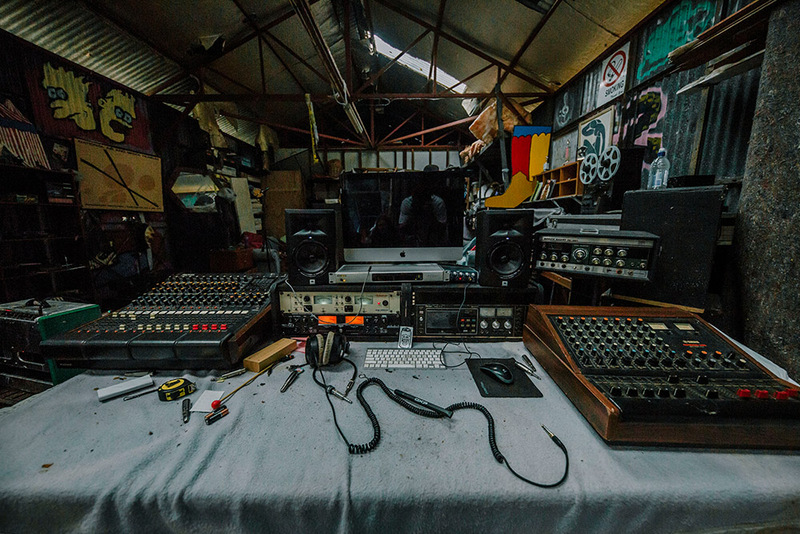 Is there anything you're looking to buy or add to your studio? 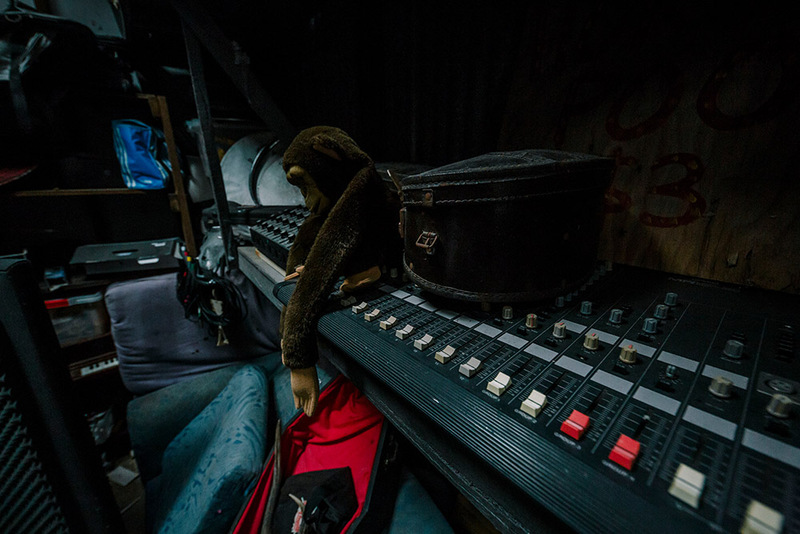 The studio is constantly changing, and I’m always looking at something else to throw in there. 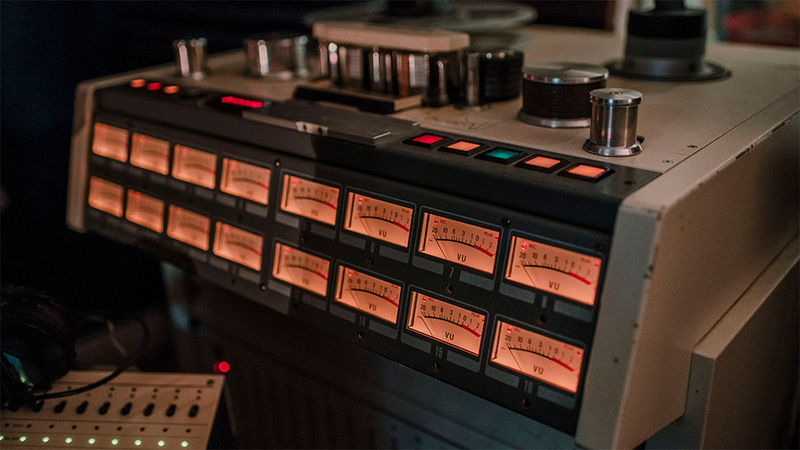 I just bought a Tascam 388 eight channel ¼-inch tape machine/console, after trying to find one for years. To make this addition to the studio I’ll be forced to change it up again to make space for it. 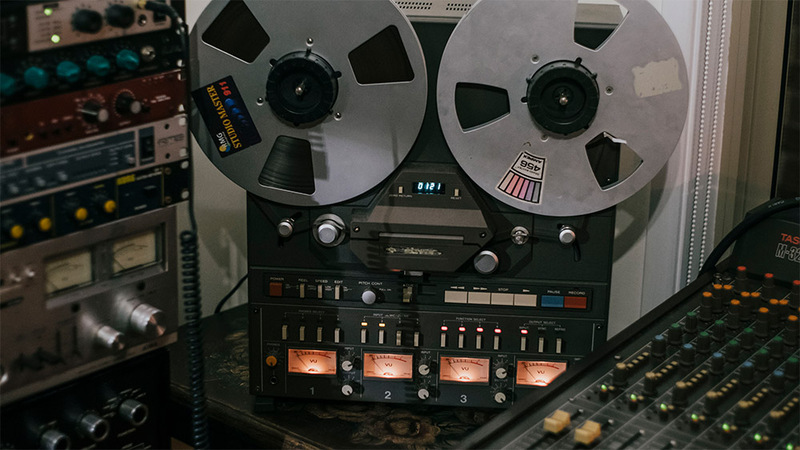 I’d love to add a 2-track tape machine at some point so I can mix down off it, allowing me to mix right down to the final mix all on tape. Tell us a bit about your space? It's the basement of a big, really old sandstone house in Potts Point, Sydney—I'd say it's at least 120 years old, if not more. I've been here for about four years I think. Before that it was all happening in my lounge room, to the point that my neighbours were complaining, my housemates were getting upset with a drum kit being in front of the stove, and there was a huge 8-track machine that permanently sat under the stairs across from the couch that people got good at ignoring. 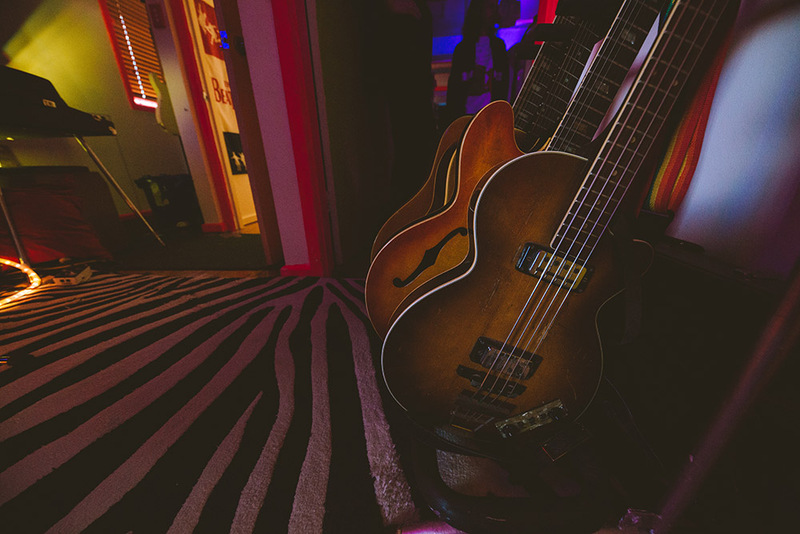 It's impossible to live in a vacuum and not be influenced by your surroundings, so I try to fill the place with equipment that not only sounds great but also functions and earns its space in the rack, along with all sorts of other detritus that makes me feel comfortable. Once you're comfortable in your space you can really go bananas experimenting. At the moment I'm really loving an upgraded Rola 77 MK-III preamp. It's nice, thick, and old-sounding, but fairly hi-fi, if you know what I mean. I've got its ancestor, the Byer 66, which does sound great, but has a bit more character and "smear" to its sound—great for rounding out stuff with too much definition or fattening something that's brittle. Always! Whatever's priced right and appears at the perfect time. I've also got my eye out for a nice variable attack/release tube optical compressor, and some kind of hefty tube EQ at the moment. I live in a massive converted warehouse space above a pie shop (the pies are terrible and the constant aroma is not pleasing). It's an old heritage-listed building that's falling apart, but it's in a good location and relatively cheap to rent, unlike most places in Sydney. The studio is a decent-sized room that's just off my bedroom. 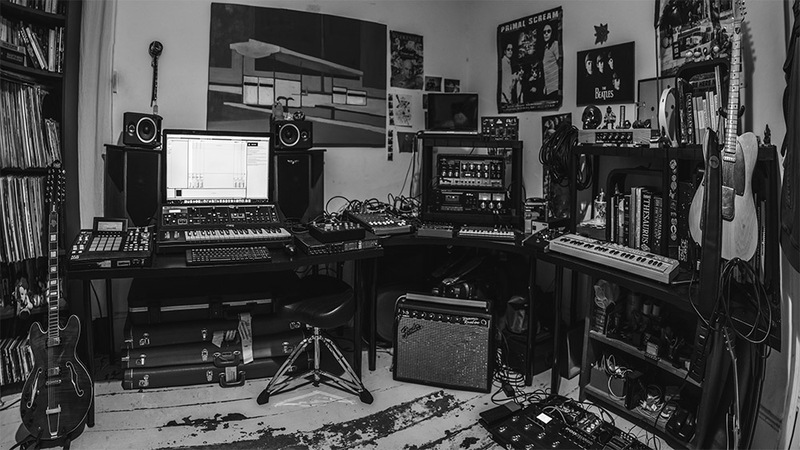 There's enough space for a drum kit, several guitars, and the main workspace, which consists of a computer running Ableton, minimal outboard, a mixer, and a few synths/samplers. The setup definitely isn't complex or professional in any way, but I've been helping some mates record their new band, which has been good practice, as I'm pretty much teaching myself how to engineer as I go along. Sixteen years in and I still have no clear idea of what I'm doing. 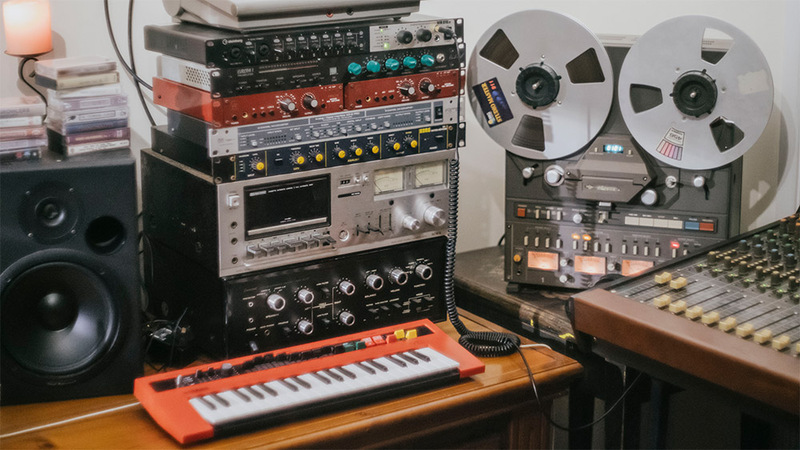 I think this particular setup was a big influence on the last Laurels’ album as it was mainly written using this sort of equipment. 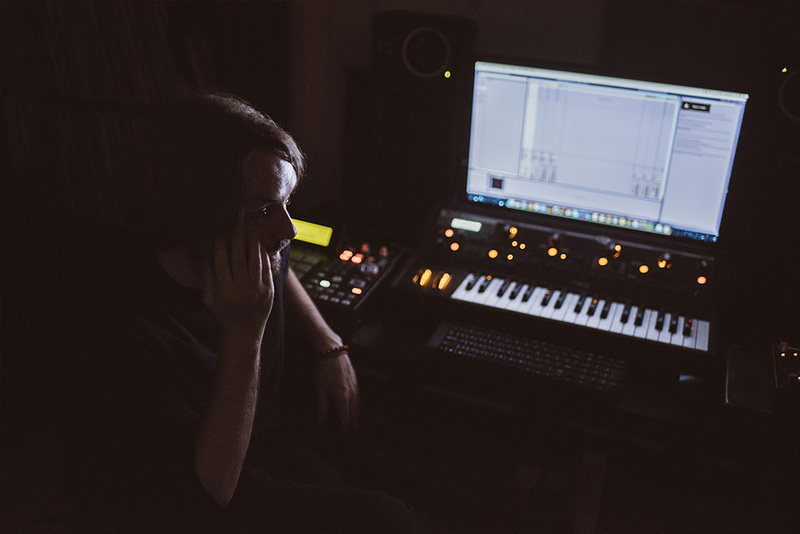 It definitely had less of a live feel, and it meant that sounds were continually explored and manipulated because of the different technology we incorporated. The Laurels - "Hit & Miss"
I'd say over the last few years it would definitely be the Akai MPC2500 and Roland 301 Chorus Echo that were the most crucial. 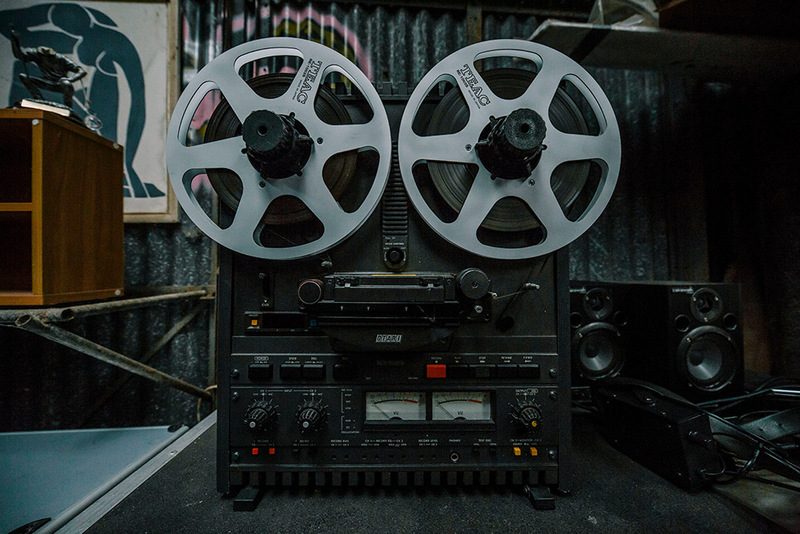 The 301 in particular, for running stuff direct to tape and getting that gritty, lo-fi warble. More recent acquisitions have been the TL Audio Fat Man tube compressor, which is great for smashing drums, and the Elektron Analog Heat. The Heat is equally amazing on drums but also great for adding character to anything else you put through it—the overdrive circuits all have really distinct flavours and give you a lot of tonal possibilities. 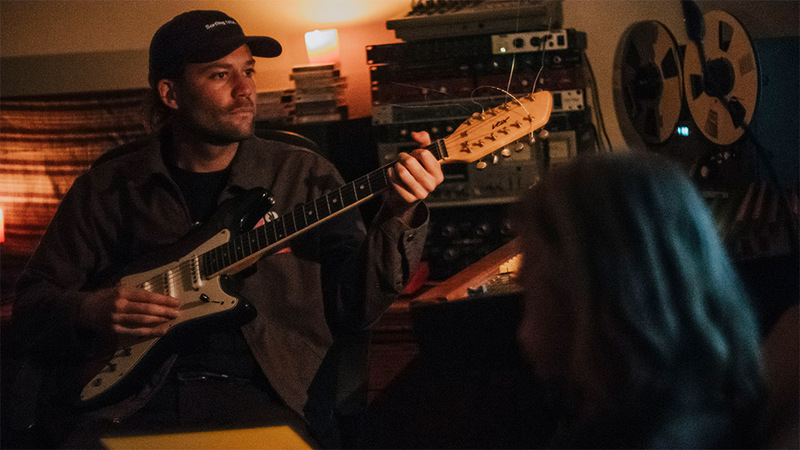 Ironically, I found I was a lot more productive when I was a kid with GarageBand and one guitar to plug straight into the computer. I feel like the more stuff I buy the less focused I become. I used to convince myself I needed proper outboard and a better quality interface/converters, but when I borrowed a friend's API Lunchbox for a few months, loaded with fancy preamps/EQs, I found the difference to be pretty minimal (but maybe that's just my shoddy hearing). I'd like to get some more microphones—all I own is a NTK and a 57. I've been wanting an AKG C414 and a Royer R-121 for a while. I just never seem to have the cash! Living next to a busy road also doesn't seem to work well with super sensitive microphones. 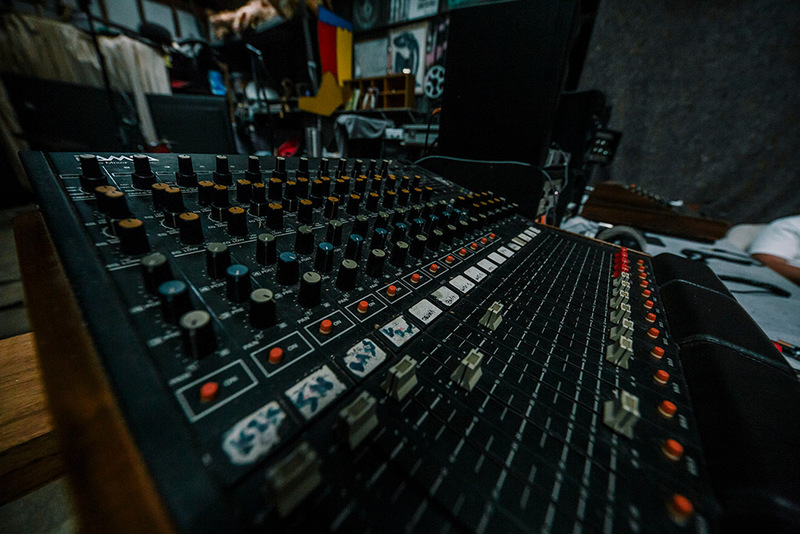 I've also been really obsessed with getting a Tascam 688, I love recording to cassette, and the mixer seems like it would integrate really well into my current setup too. 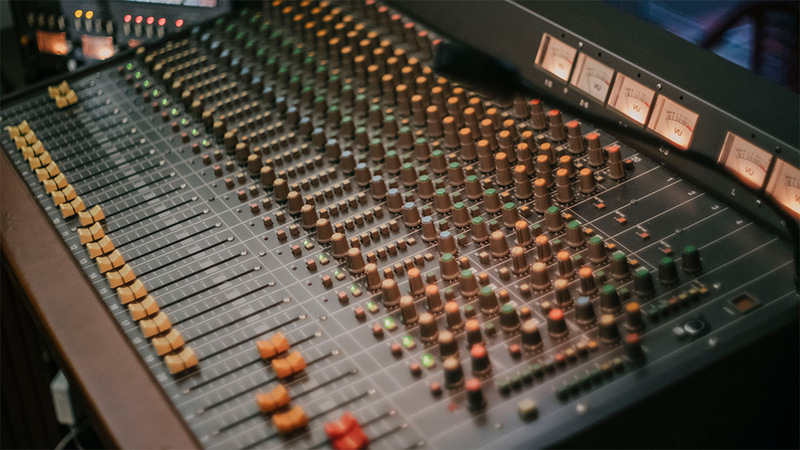 The Tascam 122 I currently use is great for bouncing down takes and resampling, but I think an 8-track would also give me a different way of working that I miss using a DAW like Ableton. More than anything, I think I need some acoustic treatment for the room—it would definitely make mixing on my monitors a lot easier! It’s not the most sonically pristine space—rectangular, largely untreated—but it’s home and I feel comfortable working there. Everything I need is at arm’s reach, as tangled up as it might be at times. It’s a humble room. Not overly decorated, not acoustically A1, but all that I need for what I’m doing right now. I believe the more you get carried away with aesthetics or dampening subtle frequencies, the less you’re actually creating. 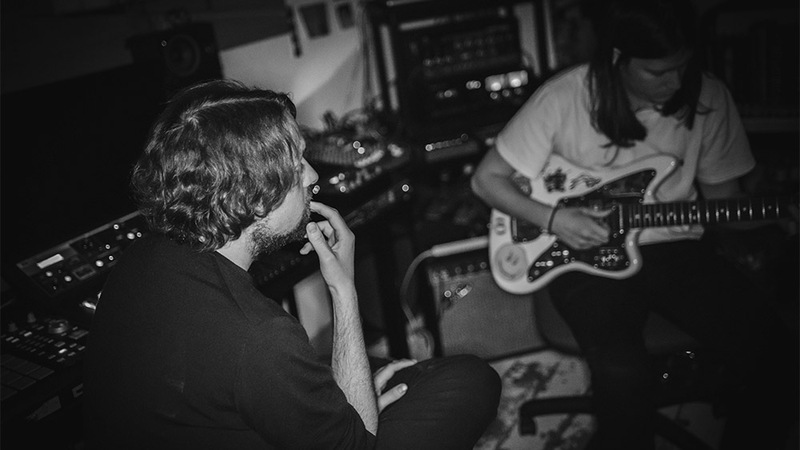 I’ve tracked and mixed a lot of material with this setup: The Grease Arrestor, The Jim Mitchells, songs for film pieces, and an unnamed EP soon to be released! How does it influence my music? Probably muddies the bass and smears the high-end. But that concerns me little. I like having the ability to overdub various instruments at will, especially if I’m writing my own material. I don’t have the resources on hand for full-band live-tracking so I make do with the layering approach. If I need to pull out some extra dampening for vocal or drum tracking, I’ll drag in a few mattresses. But that’s about as neurotic as I’ll get in terms of treatment. Sometimes a room’s colour can add some flavour, and I value character over sterility. Like most, my setup is a hybrid of digital and analogue. I try to add colour where I can to breathe life into the sometimes sterile world of zeros and ones. The Jim Mitchells - "Planet Absorbed"
I’d have to put my Tascam 424 Portastudio up for the win here. Not only is it fun to work with, it has added so much sweetness to my material over the years. Overloading the preamps adds the silkiest harmonics. It’s basically a very colourful limiter. Then there’s the magic of tape saturation too. 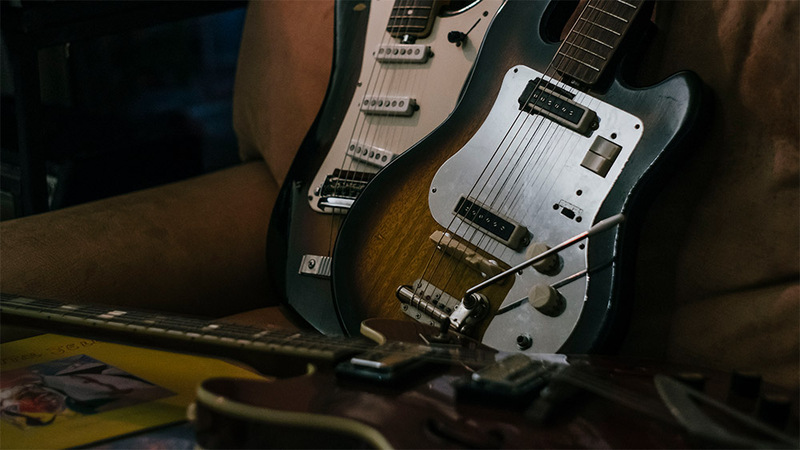 Drums are smoother, guitars are brighter, vocals grainier—it brings things to life! My Dave Hill Designs Europa preamp is a recent addition and becoming a new favourite. Crystal cleans when you need them. Then, when you want to darken, thicken, or add some lively odd-order harmonics, turn a few dials and you’re cooking. I could use this on everything, forever. 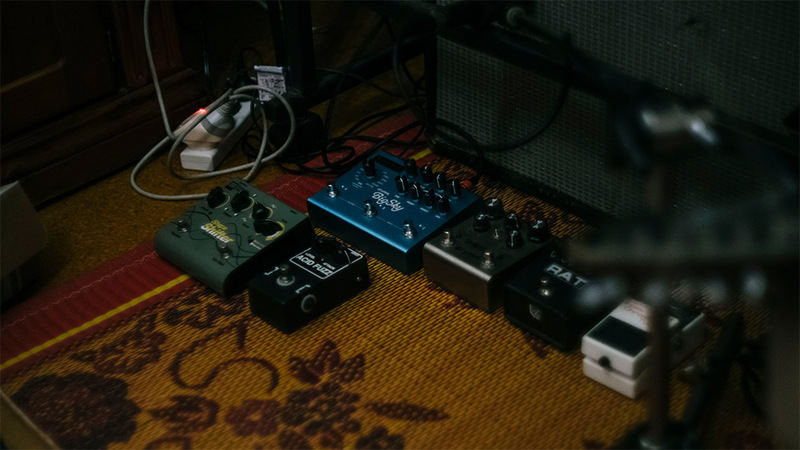 A few months back I got my hands on a Strymon Big Sky Reverb. I hate working with verb in the box, so I thought that this baby would be perfect as an outboard send, as well as in my live guitar chain. I was right. It’s super versatile—the effects are natural and can go from subtle and classic to full-blown ethereal fruitiness. My Tascam 34B reel-to-reel needs a tune up, so I’m eager to get that back full-time into the chain. That’s more of a service than a purchase though. 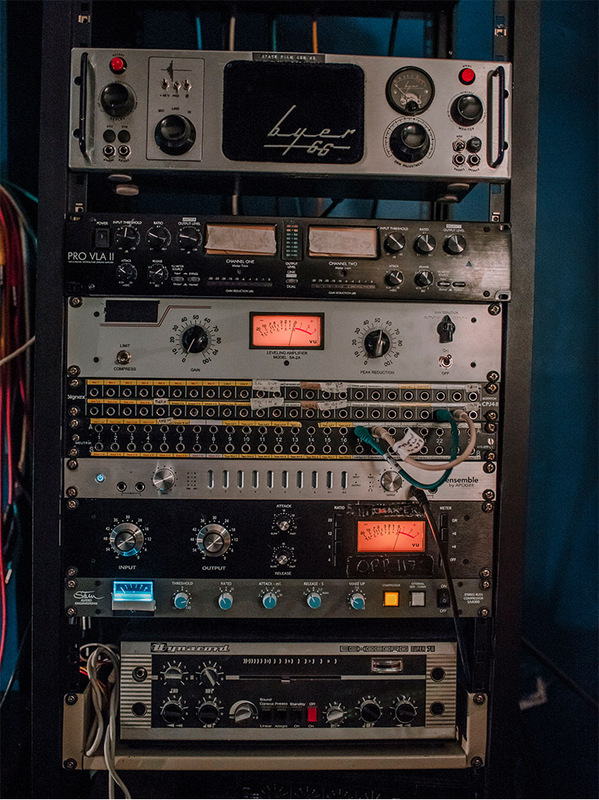 I’ve had a few outboard compressors on my radar for some time—dangerous I know!—the Distressor in particular. I like colourful gear. Microphones, perhaps a mid- to high-end ribbon, something for smooth, natural sound, perhaps add a little flavour. Oh, and a decent expression pedal. Tell us a bit about your space! 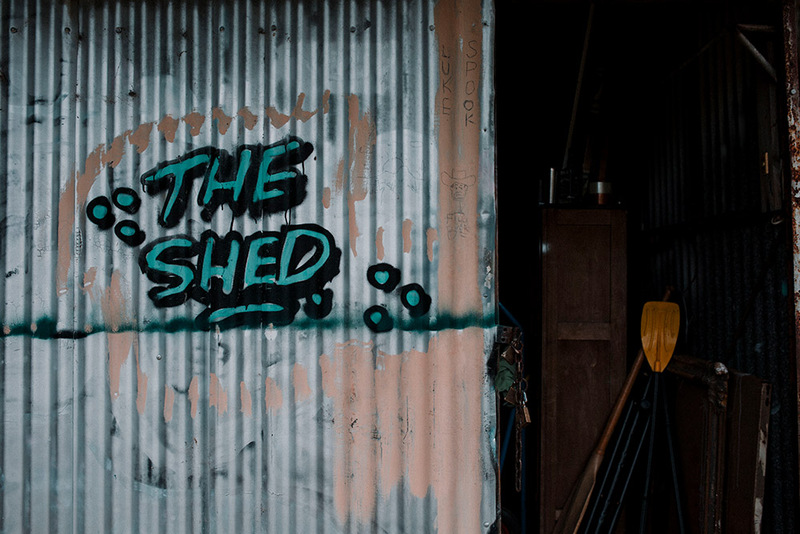 It's an old, rusty, corrugated iron shed located on a horse farm in northern Illawarra that we've filled with carpets and random gear we've collected over a couple of years. It started with borrowed gear and stuff we found in junk piles, and it grew quickly from there. It's far from a legitimate studio, but it's perfect for us. Being on a farm means it's far away from any houses, so we can play as loud as we like and as late as we want. And I'm sure the corrugated iron surrounding does something to our sound without us knowing. 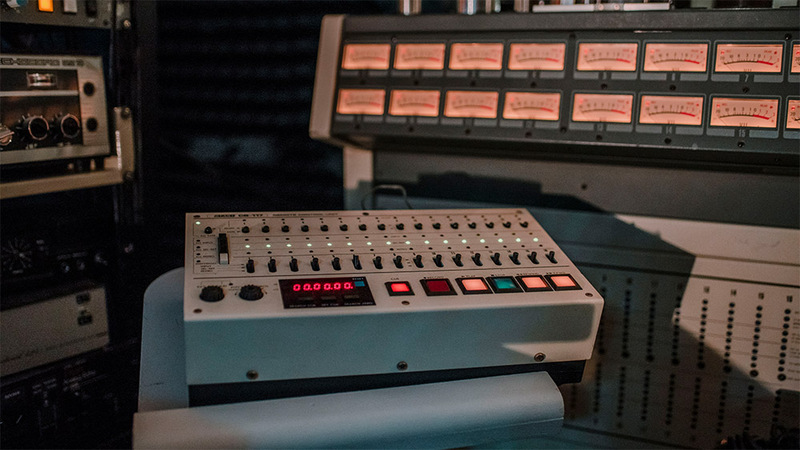 The Pinheads - "I Wanna Be A Girl"
Our ‘70s Yamaha and Ramsa desks help us out a lot—everything goes through those. 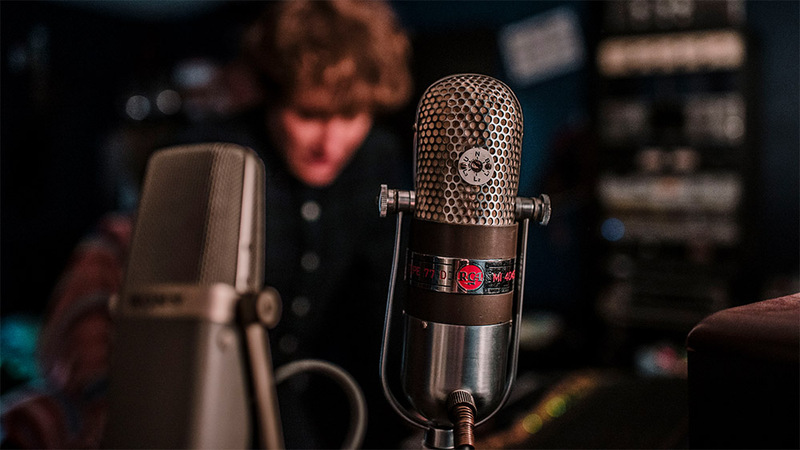 Old Electro-Voice mics always work, and our Sebatron preamp will make anything sound cool. A little bit of the Roland Space Echo never hurts either. For now we have an upright organ, but we'd love to haul a piano in for some honky tonk, and real plate reverb would be amazing. I think what we really want most at the moment is a Mellotron—maybe one will show up in a junk pile. 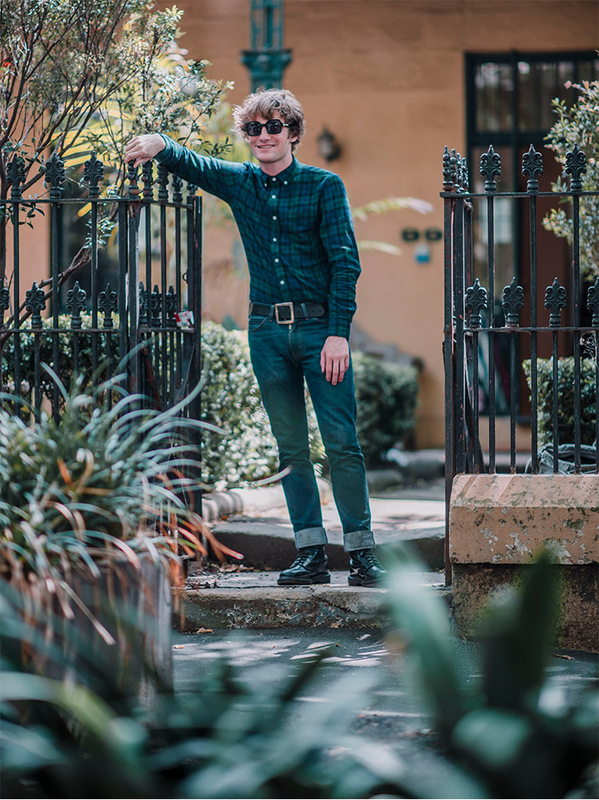 About the Author: Nick Stillman is the editor of Enmore Audio, and a sub-editor at Happy Mag in Australia. He’s also the content coordinator for Sydney-based creative digital agency, If You Build It. 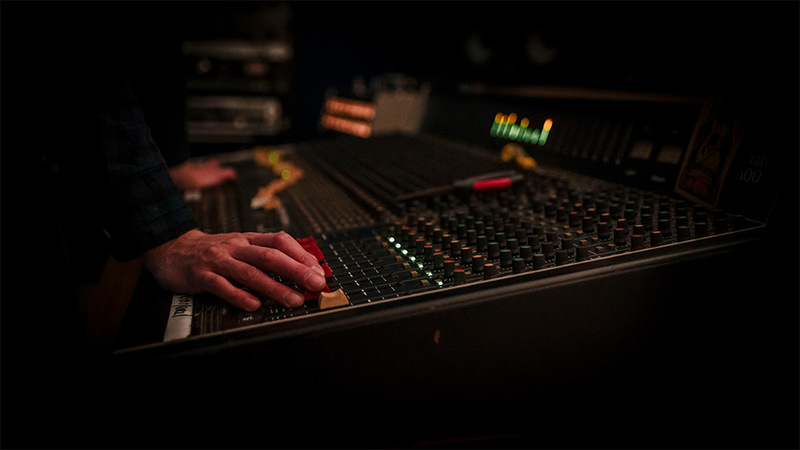 Be sure to follow Enmore's blog for more awesome insights and news from the world of recording and gear.